Diabetes insipidus (die-uh-BEE-teze in-SIP-uh-dus) is an uncommon disorder that causes an imbalance of fluids in the body. This imbalance makes you very thirsty even if you've had something to drink. It also leads you to produce large amounts of urine. While the terms "diabetes insipidus" and "diabetes mellitus" sound similar, they're not related. Diabetes mellitus — which can occur as type 1 or type 2 — is the more common form of diabetes. There's no cure for diabetes insipidus. But treatments can relieve your thirst and decrease your urine output. If your condition is serious, urine output can be as much as 20 quarts (about 19 liters) a day if you're drinking a lot of fluids. A healthy adult typically urinates an average of 1 or 2 quarts (about 1 to 2 liters) a day. See your doctor immediately if you notice excessive urination and extreme thirst. Diabetes insipidus occurs when your body can't properly balance the body's fluid levels. When your fluid regulation system is working properly, your kidneys help maintain this balance. The kidneys remove fluids from your bloodstream. This fluid waste is temporarily stored in your bladder as urine, until you urinate. The body can also rid itself of excess fluids through sweating, breathing or diarrhea. A hormone called anti-diuretic hormone (ADH), or vasopressin, helps control how fast or slow fluids are excreted. ADH is made in a part of the brain called the hypothalamus and stored in the pituitary gland, a small gland found in the base of the brain. Central diabetes insipidus. 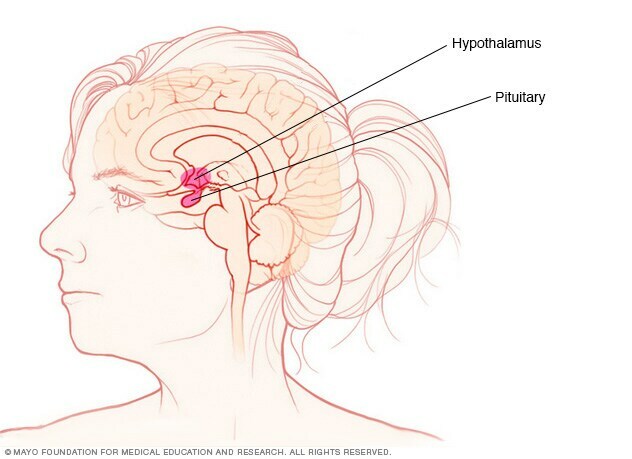 Damage to the pituitary gland or hypothalamus from surgery, a tumor, a head injury or an illness can cause central diabetes insipidus by affecting the usual production, storage and release of ADH. An inherited genetic disease can also cause this condition. Nephrogenic diabetes insipidus. Nephrogenic diabetes insipidus occurs when there's a defect in the kidney tubules — the structures in your kidneys that cause water to be excreted or reabsorbed. This defect makes your kidneys unable to properly respond to ADH. 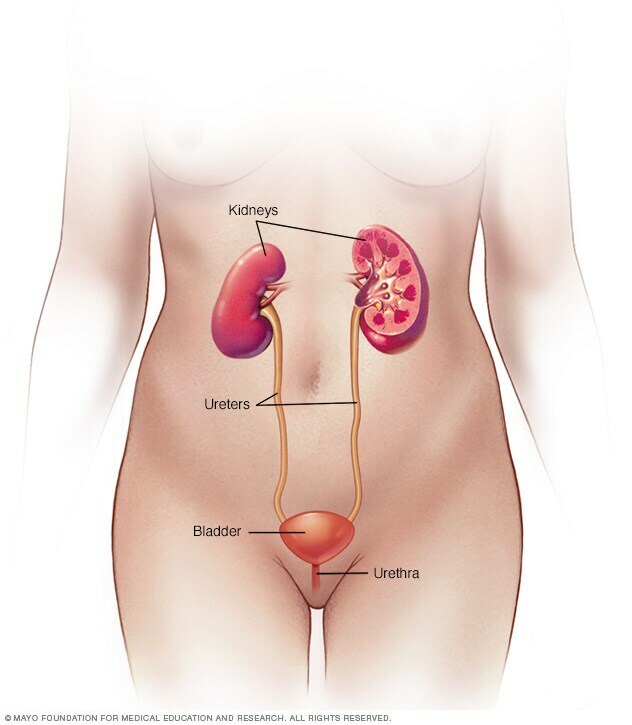 The defect may be due to an inherited (genetic) disorder or a chronic kidney disorder. Certain drugs, such as lithium or antiviral medications such as foscarnet (Foscavir), also can cause nephrogenic diabetes insipidus. Gestational diabetes insipidus. Gestational diabetes insipidus is rare. It occurs only during pregnancy when an enzyme made by the placenta destroys ADH in the mother. Primary polydipsia. Also known as dipsogenic diabetes insipidus, this condition can cause production of large amounts of diluted urine. The underlying cause is drinking an excessive amount of fluids. Primary polydipsia can be caused by damage to the thirst-regulating mechanism in the hypothalamus. The condition has also been linked to mental illness, such as schizophrenia. Sometimes, there's no obvious cause of diabetes insipidus. However, in some people, the disorder may be the result of an autoimmune reaction that causes the immune system to damage the cells that make vasopressin. Nephrogenic diabetes insipidus that's present at or shortly after birth usually has an inherited (genetic) cause that permanently changes the kidneys' ability to concentrate the urine. Nephrogenic diabetes insipidus usually affects males, though women can pass the gene on to their children.